Sixteen years: That’s how long this wonderful Flower Valley journey has been for me. From CapeNature, to WWF-South Africa, and finally, to have had these years with Flower Valley Conservation Trust – I’ve enjoyed every moment working to protect our natural world. From 1 June, my role at Flower Valley will be changing. And Roger Bailey (our current Operations Director) takes over as Acting Executive Director. My focus now shifts to Fundraising & Partnership Development. As a public benefit organisation, we depend on both. 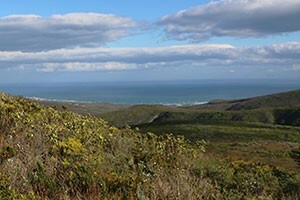 We can ONLY protect Fynbos landscapes and livelihoods in South Africa by working with partners like you. Right now, one partnership we urgently need is one that will ensure the doors of the only pre-school in Eluxolweni, Pearly Beach, stay open. This Early Childhood Development Centre (“Dolfyntjies”) cares for 28 children aged 3 to 5. They only have 2 months before their funding runs dry. Can you help? All the info is here. Of course I’m still part of the Flower Valley team but it remains for me to say thank you for the 16 amazing years that I’ve had as Executive Director with the privilege of working with you. I look forward to continuing to do so in my new role. Get our latest news here. I love it. It’s so simple, yet captures the many layers of our work. For me, it’s especially important in that it highlights the role of people in Fynbos. All our work takes place through a people-centred approach: of learning, demonstration and collaboration. To focus on collaboration: we partner with harvesters, landowners, suppliers, retailers, parents, children, government – and so many more. Together we bring about positive change. I want to thank all these partners for the teamwork and successes we have enjoyed together this year. And I also want to thank the many funders who have over the years been partners too. It’s all those companies, organisations, philanthropic individuals and Trusts who invest in this vision: in Fynbos landscapes and Fynbos livelihoods. It’s clear South Africa’s economy is in a difficult place right now. We can see the effects of this in both the conservation and agricultural sectors. This makes it all the more important to ensure our work offers a good return on investment. And it does! So thank you for your support. We’ll continue to provide those returns: safeguarding ecosystems, securing livelihoods and nurturing young children. One final thought: It feels really good to give a green gift on festive occasions. What about a green gift from Flower Valley Farm – adopting a hectare of Fynbos and forests for a year for a family member or friend? Please support this cause. Here’s how. May you have a wonderful festive season. We look forward to your continued support and partnership next year. In South Africa, when August arrives, we celebrate Women’s Month – honouring women across the country and highlighting opportunities provided in various sectors. From working with children to clearing invasive alien plants and picking fynbos responsibly for the bouquet market, we work to enable women in the Overberg area to empower themselves sustainably, emotionally and economically. in-depth time is spent with ECD practitioners to broaden their understanding and skills for their special vocation with children. But that is not where the capacity building stops for us. Through our ABI Alien Clearing programme, we dedicate time and resources towards training and development of the participants – who, of the 250 employed per year, are 60% female. Other successes from the project are listed below. Top of mind – and heart – for Flower Valley, a conservation and development organisation based in the heart of the Overberg, is the creation of opportunities for women, partnering with them to find solutions and to adapt to environmental, economic and social changes. Women whose voices are heard, have the power to change the world for the better. Across the world, we celebrated #WorldWaterDay last week. And the Department of Environmental Affairs is putting greater effort and funds into clearing invasive alien plants to free up water in our catchments (working with partners like Flower Valley Conservation Trust). 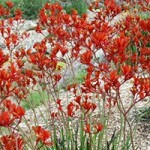 Invasive alien plants impact our water supply. We did some research – and found some interesting stats on this (see below for more). Collaboration is not only key in clearing invasives. Collaboration has also played out in our Early Childhood Development work. 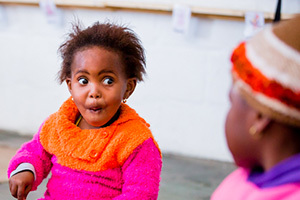 Our ECD programme is now working on behalf of the Department of Social Development, to connect with 22 centres from Stanford to Buffeljagsbaai, to improve the safety and support the education of the Overstrand’s children. There are wonderfully positive stories that involve vital partnerships and creativity – a big focus for us this year. I don’t think it has ever been clearer: if nature works, people benefit. And when we don’t care for our natural resources (like letting invasive species overrun water sources), there are consequences. 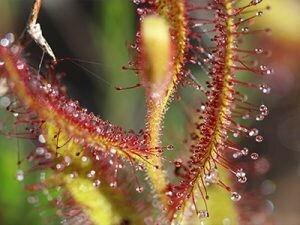 Our natural world has the amazing ability to regenerate. But right now, it needs our help. And Flower Valley underwent a strategic review, which will play out over the coming years. It’s been a challenging year for many non-profit organisations. But that’s where resilience comes in – of staff, partners, supporters, and of course you. None of this would have been possible without the help of our good friends. Thank you. Wishing you a wonderful festive season – and what better gift for family and friends than a lasting “green’’ gift. 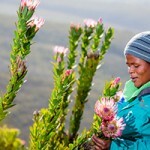 fynbos on the Agulhas Plain? 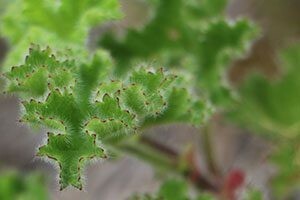 It’s not too hard: the answer is invasive alien plants. We understand from those in the know that invasive plants take up enough water to fill around 33,000 Olympic-size swimming pools every year on the Agulhas Plain alone. It’s mind-blowing to think what this quantity works out to across the whole country. So, as water becomes increasingly scarce, addressing the challenge of invasives has never been more important. That’s why we were really pleased when the Alien Clearing Project, coordinated by Flower Valley Conservation Trust (under the banner of the Agulhas Biodiversity Initiative) got started again. Here’s our target: 15,000 hectares cleared over the next 4 months giving employment to 160 local people employed in 17 teams. And following that: our ongoing efforts, working with our key partners in the private and public sectors, to ensure all that we gain now in this war on invasives isn’t lost in future. This year’s Mandela Day theme is #ActionAgainstPoverty. A powerful statement; one that resonates with Flower Valley. This year, you can support these goals Madiba has highlighted, during our Mandela Day activities at Flower Valley. We need help improving the infrastructure, playgrounds and gardens at our 5 Early Childhood Development Centres in and around Gansbaai. If you’re in the area, or keen for a trip, your 67 minutes will be so appreciated. 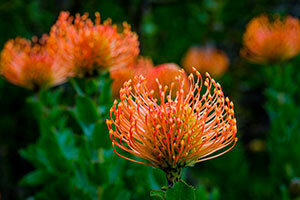 So, how well do you know and love fynbos? 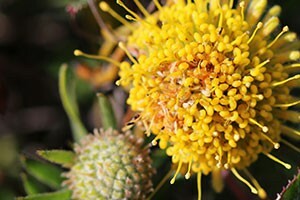 Fynbos is very diverse. I still learn more about it each day. 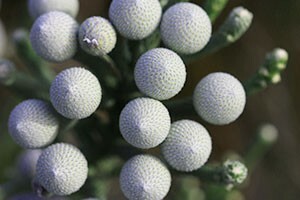 But do you know and love fynbos? 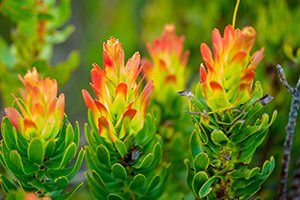 Take our quiz to see if you are a fynbos expert. And let us know how well you did – we’d love to hear. There’s a lot going on in South Africa right now. It makes one feel uncertain. And that’s never a nice feeling. But despite political turmoil, there are some definites we can rely on. Like South Africa’s value in terms of our environment. It’s well known we’re in the top 10 biodiversity-rich countries in the world. 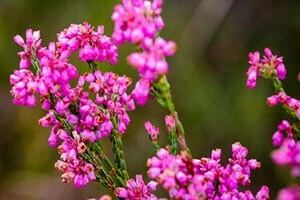 And our fynbos plays a major role in that status. It’s a reason to be so proud of our natural heritage here. So when International Plant Appreciation Day comes around, we’re at the forefront of the celebrations. It’s on Thursday (but we’ll celebrate all week. Just keep an eye on our social media). And we hope you’ll find your own way to celebrate our very unique fynbos – and the role we should all play in protecting it. There’s a lot of resolve needed to meet the challenges faced by non-profit organisations. For us, it’s so gratifying when our work results in positive change. Like seeing fynbos landscapes cared for by wonderful partners, or seeing young children connecting in new ways with nature. So a very special thank you to all our donors, friends and supporters for all that you have done for us this year. We can’t take on this crucial work without your help. There are loads of ways for you to get involved in fynbos conservation. 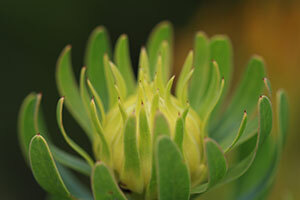 Like giving a gift to a friend or to family that will protect fynbos for a year. We’ve made it possible for you to Adopt a Hectare for someone else this Christmas – a gift that truly gives. Please check here for more. We hope you have a beautiful festive season with family and friends. We’re looking forward to connecting with you in 2017. It’s Mandela Month. And here at Flower Valley, we’ll be giving 67 minutes of our time to the children of the Strandveld region on Monday (18 July). We’ll be building, painting, dry-walling and more at the five Early Childhood Development (ECD) Centres that Flower Valley supports, as part of our ECD Programme. We’d be thrilled if you could join us, either by giving time or resources this Mandela Day. We’ve got more info below. Then in August, we celebrate Women’s Month. Here at Flower Valley, we work with some of the most inspiring women, like our ECD practitioners. These are women who have given up so much to help young children. We’ll be bringing you four stories, of four such women, in the weeks heading up to Women’s Day (9 August). We’d love your thoughts and comments on their stories. And please tell us your own story (#ShareYourStory) – we’d love to share some of your inspiring narratives. Watch our website (www.flowervalley.org.za) and social media for more.